Alternatively, the way we think of gamification at ExtensionEngine is to apply a design principle or mechanism to content in order to help drive learner engagement. In other words, applying game design mechanics into a non-game environment such as an online learning application or course. Does gamification really help learners? Over 75 percent of people are gamers (50 percent casually and 27 percent moderately to fairly often), so the features involved with gamification are familiar. These can be used to improve learning outcomes. Learners recall just 10 percent of what they read and 20 percent of what they hear. If there are visuals accompanying an oral presentation, the number rises to 30 percent, and if they observe someone carrying out an action while explaining it, 50 percent. Almost 80 percent of the learners say that they would be more productive if their university/institution or work was more game-like. Over 60 percent of learners would be motivated by leader boards and increased competition between students. And 89 percent would be more engaged win an e-learning application if it had point system. Although these stats are very promising, the other side of the coin will tell you that “gamifying" a learning experience is not easy, especially doing it successfully. Gamification in online learning has lots of complexities, high costs, and long creation and development times. Because of this, many think it’s not a viable solution unless you have a larger than normal budget. ExtensionEngine has developed several gamified experiences in the past, for both educational and corporate organizations, that utilize many of the mechanics described in this post, including avatars, pathing, progress, rewards/badges, certifications and more. 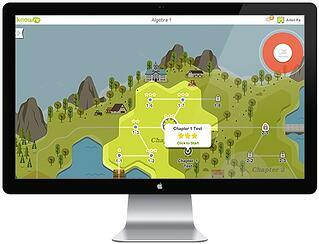 As mentioned earlier, successful gamification in online learning is not about creating a game. Gamification employs the use of game mechanics (interactive elements) into the experience. The point system is highly effective in helping learners measure their success and achievements. Points are a good way to reward learners for a check in or a video watched. When a learner obtains a certain number of points, perhaps for watching all the videos in a particular module, they could be awarded a badge, sticker or trophy. This is a pretty standard convention that people are familiar with and have used in other walks of life, such as video games or even a coffee card where you obtain a number of points toward your free cup of coffee. These types of rewards are big drivers of motivation. Not many people like constraints; however, even though it’s not the most popular game mechanic, there may be a role for them. For example, constraints can make learners react quicker, especially if there is a point or some reward attached to it — or a time limit presented by the instructor. If a learner is having “fun”, the level of engagement tends to be higher, which leads to increased retention. Providing instant feedback lets users know what they’ve learned and, more importantly, what they haven’t. This also improves learner engagement and thus retention and recall. Gamification provides an informal environment for learners to work out real-life situations in a safe environment. This helps to increase the quality of the learning experience and leads to better knowledge retention. Gamification helps to achieve many learning needs including onboarding, learner support, soft skills and increased awareness. Gamification is about more than points, badges, leaderboards, etc. It can also drive increased behavioral change. We hope this has helped demystify the concept of gamification in online learning and has shed some light on the pros and cons. If you want to learn more about gamification in online learning, let’s schedule some time to talk. 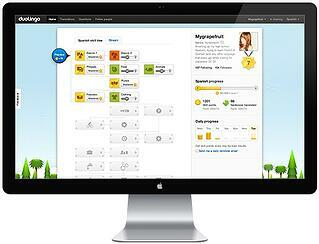 KnowRe is an adaptive math learning application. This gamification example helps students succeed in math by assessing, personalizing, and engaging students with game-like features and beautiful graphics along with a social learning component. Duolingo is a free language-learning platform, currently offering over 68 language courses. Duolingo utilizes progress bars, strength meters, rewards, and daily challenges to help the learner become more proficient in the new language. ClassDojo is a classroom tool that helps teachers improve the behavior of their classrooms in a fun and compelling way. In this gamification example, students are assigned an avatar that administers a reward or consequence, depending on their behavior and on goals that are set up from the beginning. 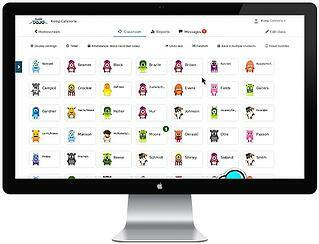 ClassDojo employs a whole host of mechanics, including badges, levels, leaderboards and more. McDonalds: Till Training is a gamified training experience to help cashiers use the register and improve their customer service delivery. It utilizes scoring, levels, challenges, sound effects, and other game mechanics to deliver a very addictive training experience. LIFESAVER: Crisis Simulator is a simulator that uses interactivity and live-action film to teach cardiopulmonary resuscitation (CPR). It’s a free app that works across all devices and employs a host of mechanics, including progress, stats, points, feedback and constraints to help deliver a very authentic life-saving experience. 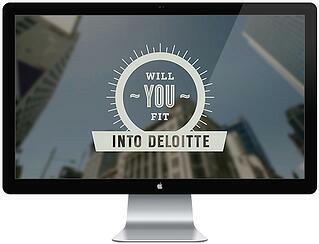 Deloitte "Will You Fit into Deloitte" is an interactive video using gamification principles to help their recruitment efforts. This video is just one part of a gamified training course that embeds missions, badges, and leaderboards into the platform alongside video lectures, courses, and assessments. Interested in learning more about gamification? Contact us to learn more about what ExtensionEngine custom learning experiences can do for you. Continue Reading: Online learning 3.0 is happening and you’re probably behind. Explore the evolution and latest developments in online learning.